Welcome to Coconut Tree Lightings, your best choice. Grille down lights are widely used in commercial shops, hotel, gallery, museum and etc... CoconutTree Grille down lights are Simple and elegant in appearance. 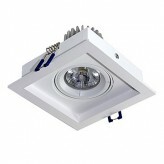 It's easy to install, round and square version available. 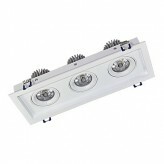 All grille down lights listed here are High CRI, high lumen output, and produce gentle and natural light. What kind of lighting creates a cozy, relaxed feeling? 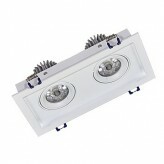 Tips of how to choose LED down lights? © 2016 CoconutTree Lighting. All Rights Reserved.